Use any VR-Cardbox or Headset for 360° experience. 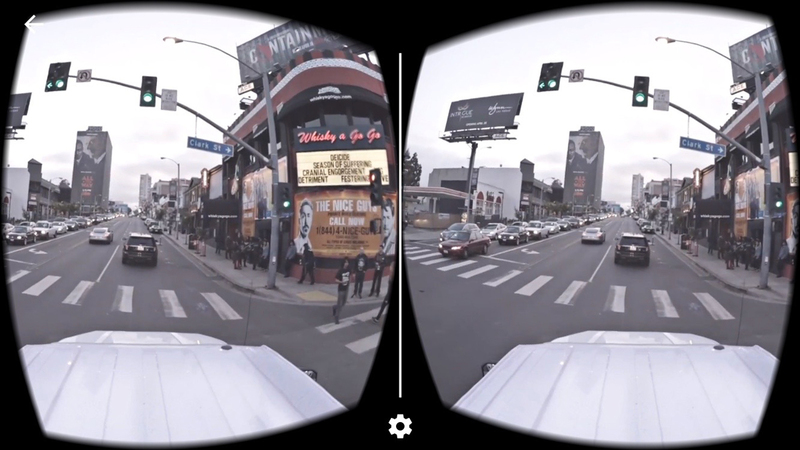 Use Firefox (if on desktop) or Youtube App (if cellphone VR-headset) for streaming 360° content. Set quatlity to 4k (only possible being in Wifi). A 360° Video re-enactment of Ed Ruscha’s accordion-fold Leporello book „Every Building on Sunset Strip“ for a multiple 360° video / Virtual Reality exhibition installation that is part of a more extensive series called "REVISIT"
A project by: Markus Oberndorfer. Producer: Markus Oberndorfer, Vivian Winther. Camera Operator & Editor: Michael Mandl (VRisch). Making Of: Tyler Winther. With the friendly support of: Vivian & Tyler Winther, Michael Mandl, Sira-Zoé Schmid, Thomas & Martina Egger, Bundeskanzleramt Österreich, VRisch, rotaug.